Santa Monica, California – Fall 2018, Japanese retailer MUJI will open a new location on the Third Street Promenade in Santa Monica, California. 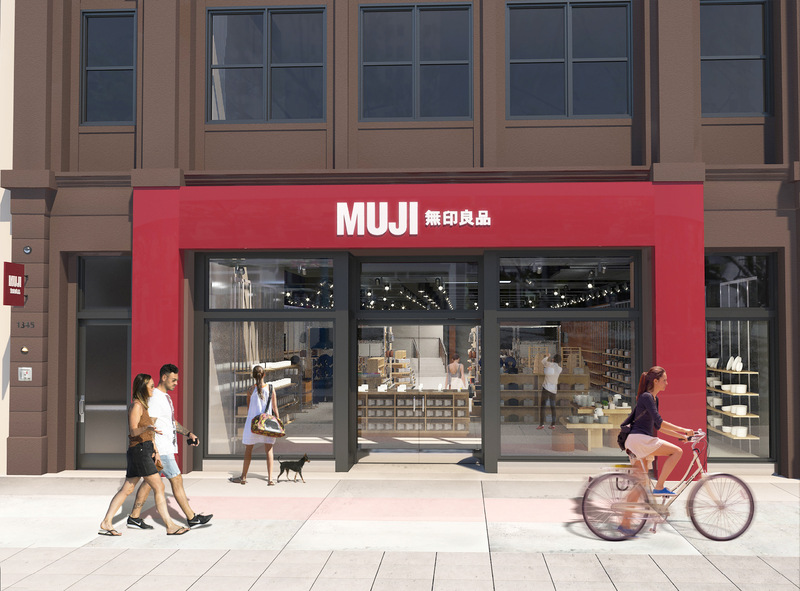 spanning 10,494 square feet over two floors of retail space, MUJI Third Street Promenade will be the brand’s largest store on the West Coast to date. MUJI Third Street Promenade will provide access to the company’s wide array of apparel, kitchenware, tableware, furniture, interior and storage accessories, stationery, skincare, bags and suitcases, all of which are rooted in a simple, streamlined aesthetic and designed to highlight modesty, accessibility, and reduced waste. – The Re-MUJI collection will be available for purchase at this location — making it the sole venue in the United States where it is available. Re-MUJI repurposes archived pieces from past collections by recycling and re-dying the clothing in three shades of Japanese indigo, breathing new life into MUJI classics. Because of the nature of the indigo dye, which is traditionally used in Edo era Japan, each piece is one-of-a-kind and will come in Men’s and Women’s garments. Additional information on the MUJI Third Street Promenade store and MUJI’s expansion on the west coast will be announced as details are available. Downtown Santa Monica is equal parts shopping haven and street-performer stage. Just east of the Pier, the Third Street Promenade consists of three open-air, car-free blocks that are anchored by upscale Santa Monica Place. With everything from fresh farmers-market produce to designer fashions, it’s a shopper’s nirvana. Likewise, foodies rejoice in the numerous restaurants featuring locally sourced ingredients and craft cocktails. Life pulses around each corner with hotel guests, street performers, shoppers, office workers, diners, barflies, and moviegoers. New to the mix: The terminus of the Metro Expo Line, which opened in 2016, ferries riders by light rail between Santa Monica and Downtown Los Angeles.